This talk will be an appreciation and celebration of the earth, with thoughts, images and poetry. Jeremy Naydler is a philosopher and gardener, author of several books including Gardening as a Sacred Art, and a book of poems, Soul Gardening. Songs and instrumental works from the time of Richard Neville, Earl of Warwick (1428-1471). Lunchtime lecture at 1pm about medieval instruments in the windows of the Beauchamp Chapel. 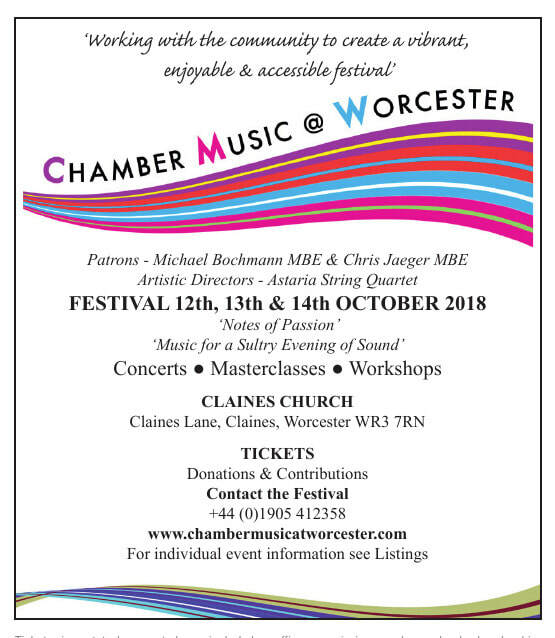 The in-house education project for the Chamber Music @ Worcester Festival. The chance for students to come and play to us - and have fun! Students will discover 'trade secrets' and practice short cuts as well as receive advice, suggestions and feedback on all aspects of their playing and performance. Friends, family and teachers are welcome to listen. Application forms online or call 01905 412358 / £12 per student. Our musical story this year will feature the heart-rending story of ‘Beauty and the Beast’ where love overcomes all but only through sacrifice and passion. Set to popular classics and songs including music from the film. 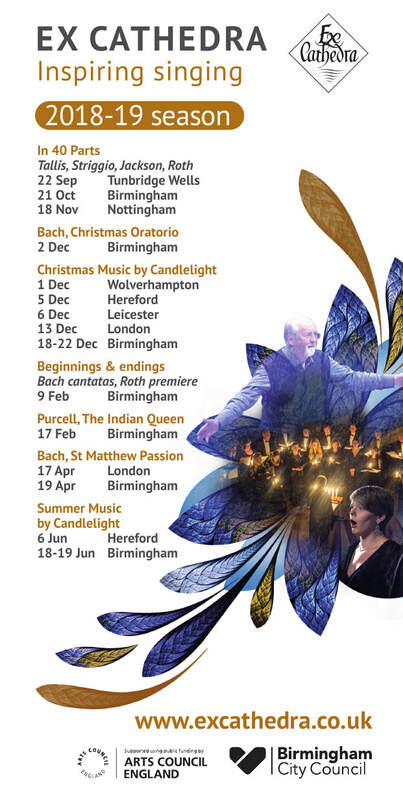 This concert includes a 1 hour supper break and will be finished at 9.45pm. Autumnal supper at the Vaults £15 for 2 courses and a glass of wine. Join us on the 'Serafina' for a boat trip and short guided walk through Christ Church Meadow encompassing all the four elements with Mark Davies, an Oxford historian, author, public speaker, guide, and publisher who specialises in the history and literature of the city’s waterways and who will illustrate some intriguing musical associations. He will also talk about the ‘King of all Balloons’ James Sadler, the extraordinary Oxford pastry cook who was the first Englishman to fly in a fire balloon of his own design. A delicious locally sourced and organic brunch will be served aboard. Whether they play an instrument or not, children will love this interactive music workshop. Ideal for primary school age children, no musical experience needed and bring an instrument if you have one. On Saturday 13 October Laura Snowden tutors students from the Elgar School, Deansway, Worcester from 2pm-3pm. Audience welcome: masterclass free to ages 18 and under and to those with a ticket for the Sunday afternoon concert. Otherwise £5 entry.